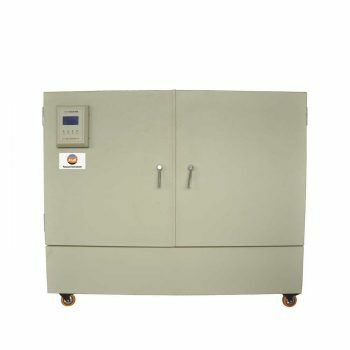 Automatic Crease Recovery Tester, also named Crease Recovery Tester. FYI is a leading manufacturers and suppliers of Automatic Crease Recovery Tester in the world, we offer good quality products with affordable price, devote to offering cost effective testing solutions and equipments for various industrial applications. 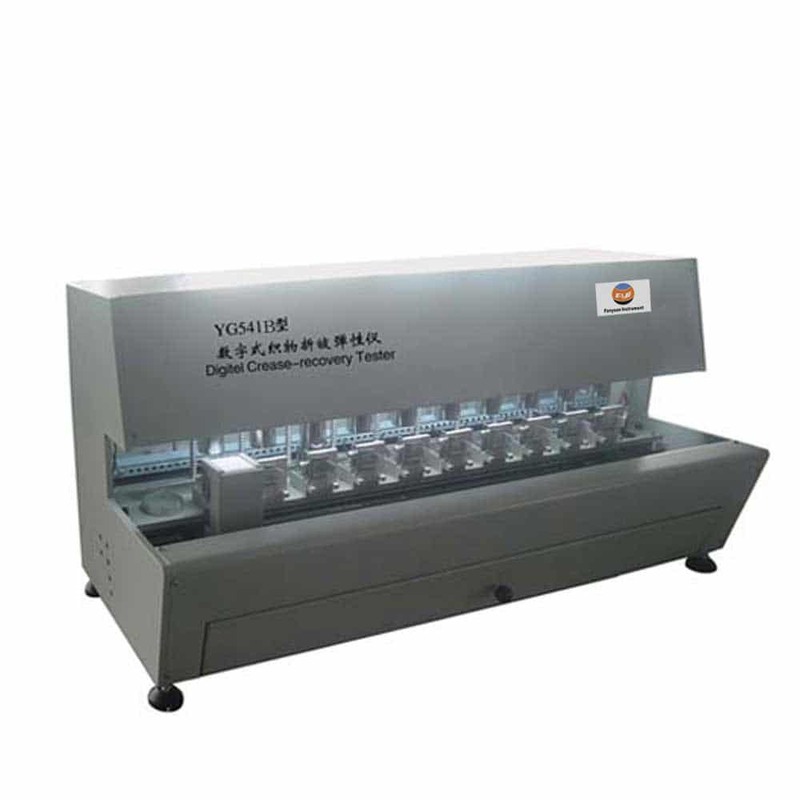 The Automatic Crease Recovery Tester manufactured by FYI based on a diverse range of testing requirements or standards. Engineers available to service machinery overseas. Of course, we also have agents and distributors to assist you timely in over 20 countries around the world. Fully automatic measure crease recovery angle of fabrics by camera and displayed on computer. Equipped with 10 working position, 5 for warp wise and 5 for weft wise. Equipped with 3 types of angle template to calibrate testing head. Equipped with a draft proof cover to reduce influence of test result due to air flows. Equipped with black and white floor in order to adapt different colors fabric measurement. 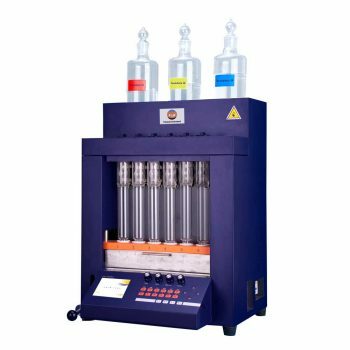 Automatic Crease Recovery Tester is used to determine the recovery properties of fabrics by creasing in a load device for a predetermined time using a weight suitable for the test method specified. And the instrument measures the crease recovery angle by vertical method automatically.It has 10 working position, 5 for warp wise and 5 for weft wise. 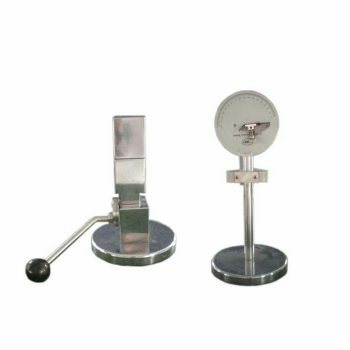 It equipped with 3 types of angle template to calibrate testing head and with a draft proof cover to reduce influence of test result due to air flows. Customer can use Stylus printer to print the report . Automatic Crease Recovery Tester complies with GB/T 3819, ASTM D1388, BS 3356 etc international and retailer standards.